April Employee Birthdays and Anniversaries to Celebrate! March Employee Birthdays and Anniversaries to Celebrate! February Employee Birthdays and Anniversaries to Celebrate! January Employee Birthdays and Anniversaries to Celebrate! December Employee Birthdays and Anniversaries to Celebrate! November Employee Birthdays and Anniversaries to Celebrate! October Employee Birthdays and Anniversaries to Celebrate! September Employee Birthdays and Anniversaries to Celebrate! August Employee Birthdays and Anniversaries to Celebrate! July Employee Birthdays and Anniversaries to Celebrate! June Employee Birthdays and Anniversaries to Celebrate! 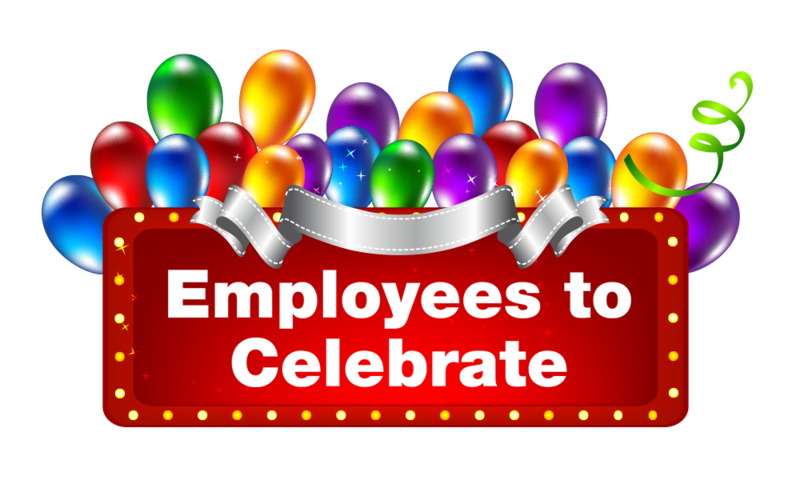 May Employee Birthdays and Anniversaries to Celebrate!